Visiting Wudalianchi Geopark was my first proper trip to China. When I say proper I mean, going deep inside the borders of mainland China where they don’t speak much English and the culture, nature and food remains unspoilt by the West. I had visited Hong Kong, Shenzhen and Macau many times before but it was nothing compared to the epic adventure I had at the Wudalianchi Geopark. I went here as part of a photography trip, which started in the city of Harbin and toured the Heilongjiang province and travelling with a group of Chinese speakers. This was an absolute blessing, as my fellow travellers helped me navigate the weird and wonderful food options, avoid tourist traps, stay safe from tricksters and basically see the very best of North East China. 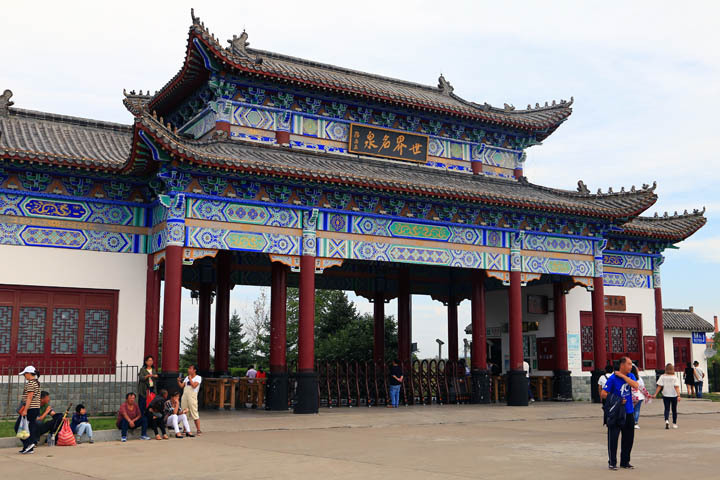 We started our adventure in Harbin before setting off on a three and a half hour drive to the Wudalianchi Geopark. 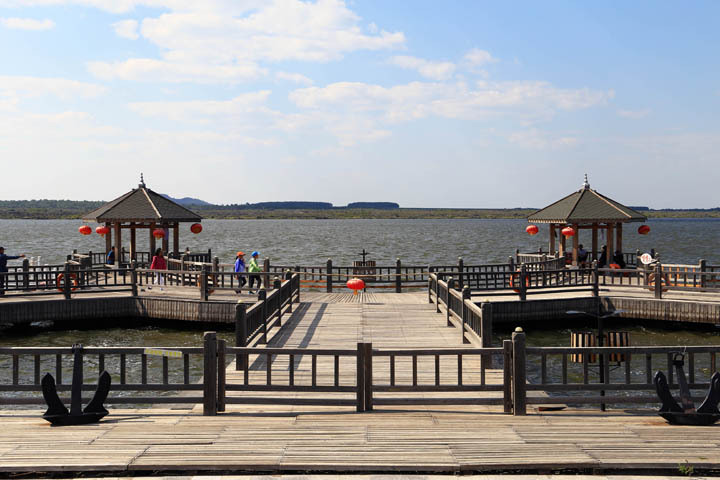 Wudalianchi translates as five lakes from Chinese and refers to a set of interconnected lakes caused by the eruption of the volcanoes of Laohei. The lakes are joined by underground rivers that have lava beds and water so clear you can see the fish swimming. The volcanic mountain in the middle is referred to by locals as the Black Dragon. It is believed the bad temper of the Black Dragon, which erupted caused the lakes to split. Our goal was to climb to the top of the ominous Black Dragon. 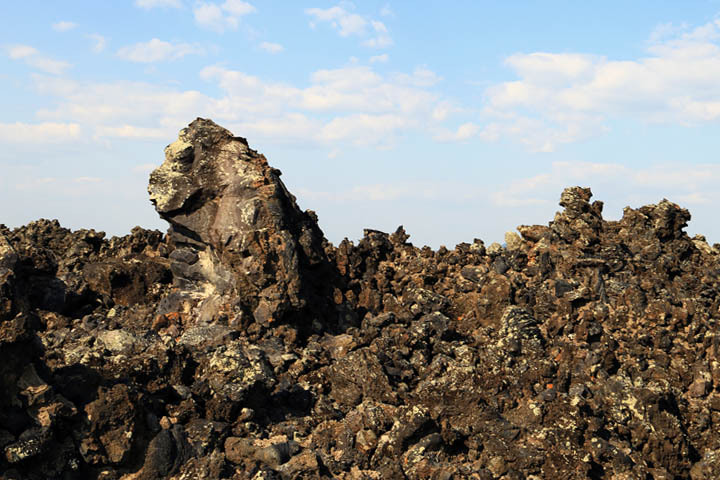 The Wudalianchi Geopark consists of 13 volcanoes and an interesting volcanic landscape that is well preserved and has earned it the nickname of a Living Textbook on Volcanos. We started our expedition at the Volcanic Barrier Lakes from where we took a speed boat to cross the third lake to get to the Laohei volcano scenic area. Here there is the Stone Sea and Stone River, which are magnificent areas covered with black, volcanic rock that stretches further than the eye can see. 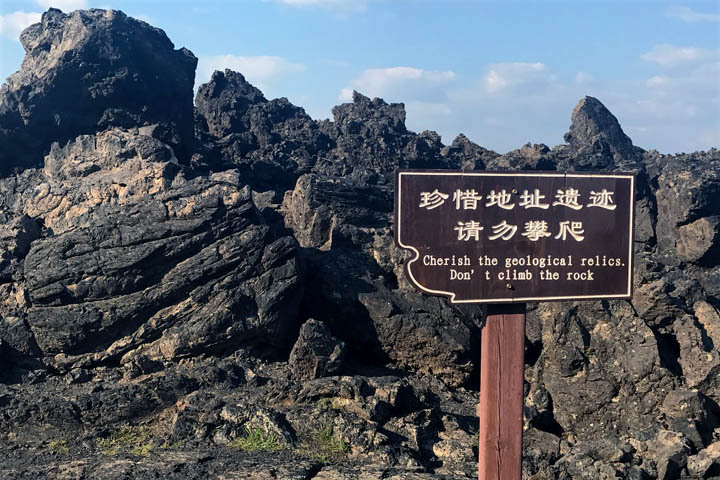 Wooden boardwalks and walking trails have been carefully etched among the volcanic rock so tourists can observe the geological wonder without causing harm. I was yelled at by several Chinese people when I made the blunder of sitting down on some volcanic rock to give my legs a rest. Whilst taken aback I must admit, this dispelled all my previous held stereotypes about Chinese not caring about nature. 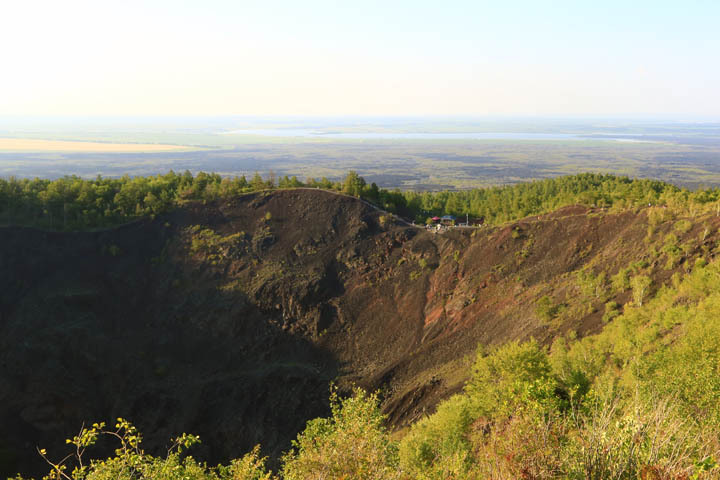 Although it was midsummer and the sun was shining brightly, the temperature was pleasant and dry so we enjoyed walking through this densely black and rocky landscape. 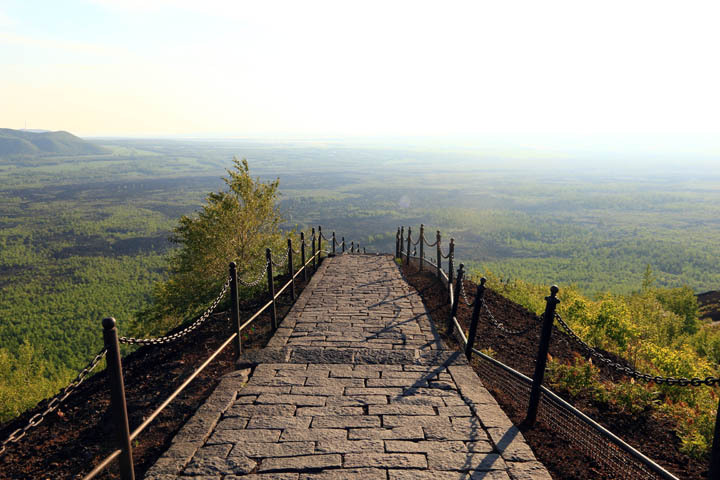 The path slowly inclined upwards towards the Black Dragon summit and became steeper and steeper. By the time we reached the crater of the Laohei Volcano at the Wudalianchi Geopark our legs were very sore and we were sweating, but we felt that we had accomplished something. 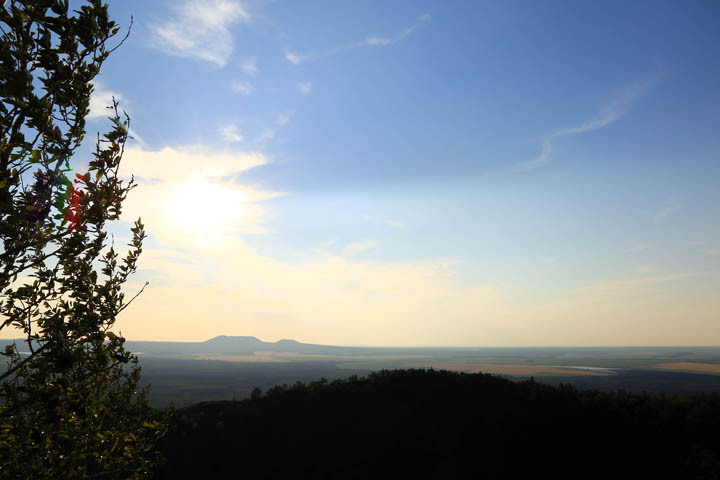 The Laohei Volcano has not erupted since the 1700s and from the top of the crater were could feast our eyes on an awesome panoramic view of the volcanoes and barrier lakes. 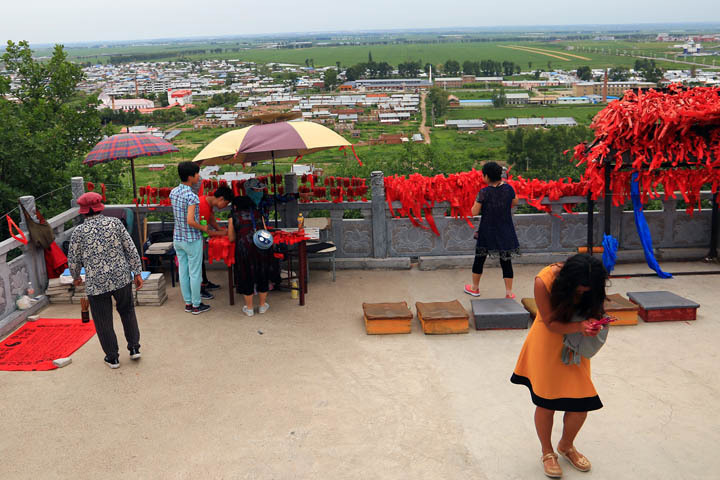 Looking from left to west to east, we marvelled at the five connected lakes, and from north to south witnessed the Wei Volcano, Molabu Volcano, East Longmen Volcano, West Longmen Volcano, East Jiaodebu Volcano and West Jiaodebu Volcano. Further off in the distance are another array of volcanos that stand from south to north comprising of the Yaoquan Volcano, Wohu Volcano, Bijia Volcano, South Gelaqiu Volcano and North Gelaqiu Volcano. We spent a good 45 minutes enjoying the awesome views as the sun slowly began to set, as well as catching our breath and resting our legs. But what goes up must surely come down, and the steep trek downhill proved to be even more challenging and helped us work up a healthy appetite for dinner. The next day we visited the Crystal Cave. 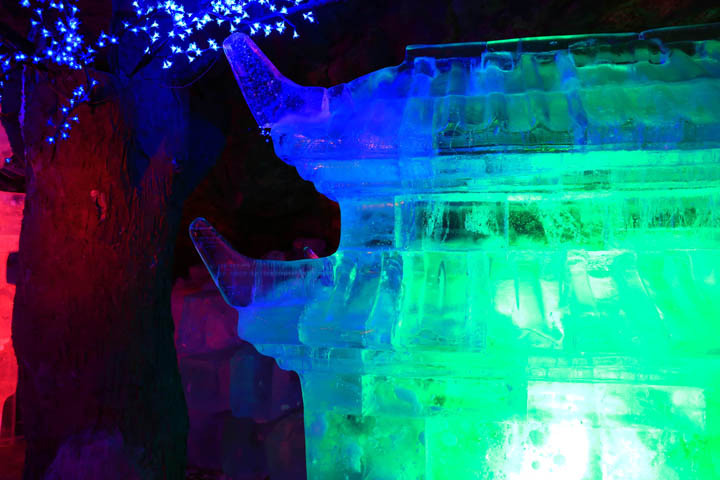 Harbin is famous for its beautiful winter International Ice & Snow Sculpture Festival that draws crowds of millions from around the world. 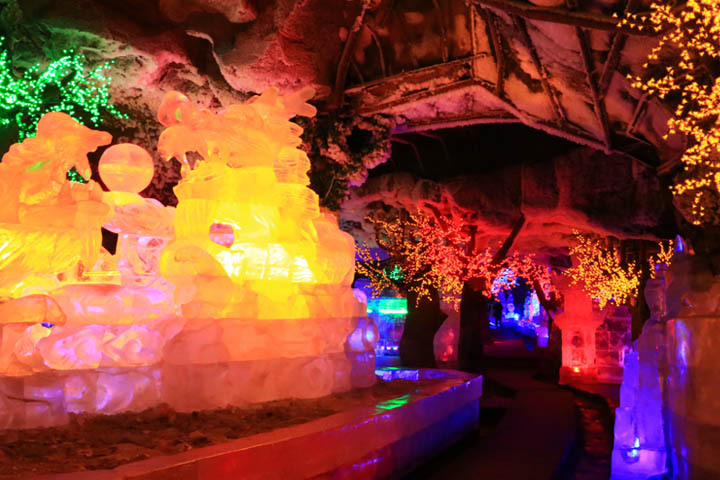 This Crystal Palace in the Bailong Cave of Heilongjiang lets summer visitors also enjoy spectacular ice sculptures. The cave is 150 metres long and the temperature is freezing cold all year and the snow never melts. We were provided with padded winter jackets to wear before entering. I was amazed to witness a snow covered floor and cave walls covered in lava stalactites. As we ventured further into the cave it felt like a winter wonderland, adorned with beautiful ice sculptures that were made more magical by the added fairy lights and special lighting effects. However after 20 minutes appreciating the sculptures our hands became very frozen and we were keen to get back outside and bask in the sunshine. Our next point of interest was a visit to the North Spring. 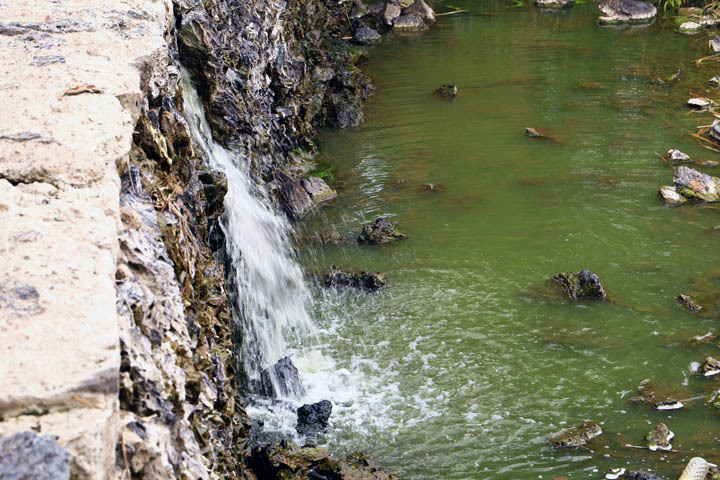 The North Spring is a cold bicarbonate mineral spring with iron, strontium and silicon contents. The water temperature is 3-5C and total mineralisation is 1254.5-1356mg/L. 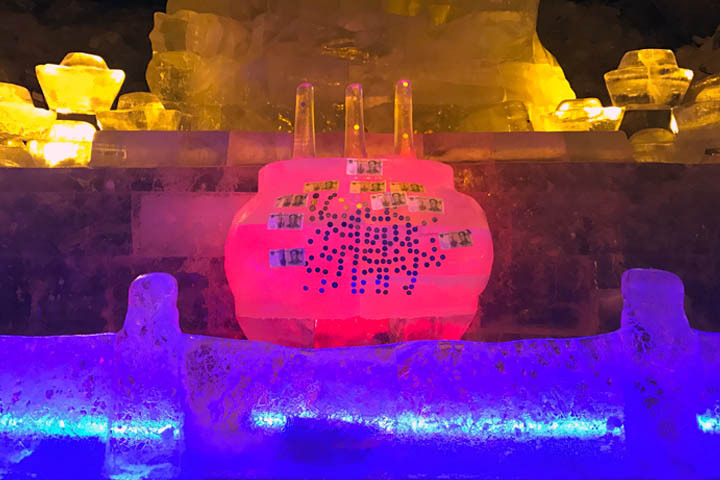 The Chinese market this spring as one of the three most revered cold mineral springs in the world, along with the Vichy of France and Caucasus of Russia. 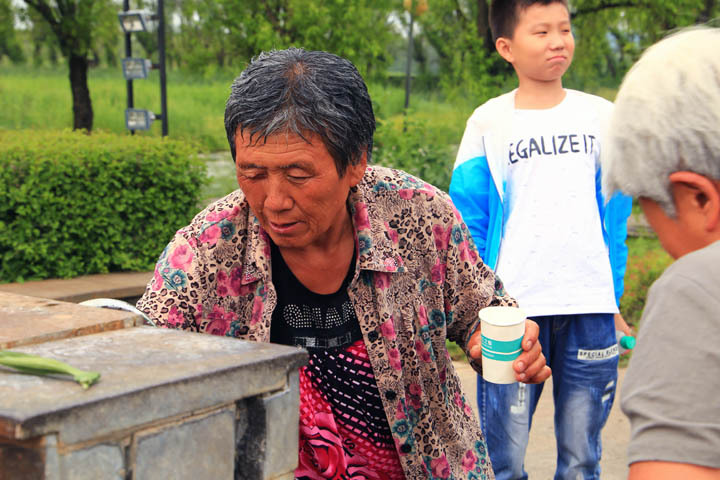 In particular, drinking from this spring is said to have a therapeutic effect on the digestive system and urinary tract as it contains more than 40 trace elements beneficial to the human body. The entrance to the spring is decorative, like a Chinese temple, and you need to walk a long path past a square to get to the spring mouth. I was curious to see crowds of people holding containers to fill up with water, and not just Chinese faces but a lot of Russian faces too. Wudalianchi is close to the border of Russia and many Russian people choose to live here specifically to be close to this water source. There was somewhat of queue before we could fill our bottles with this revered water. The taste was very metallic and I was warned not to drink any caffeine before sampling the mineral water or it would have a disastrous effect on my stomach. The water began to turn yellow in my bottle after 15-20 minutes, and I wondered whether the funny taste and colour had something to do with pollution or if that was truly a sign of great mineral water. 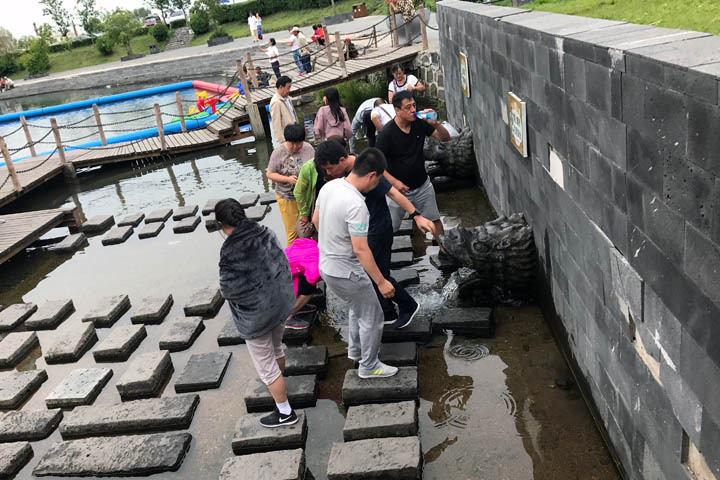 Next to the spring is the Yaoquan Lake where we enjoyed a pleasant stroll as we forced ourselves to drink the funny tasting water. 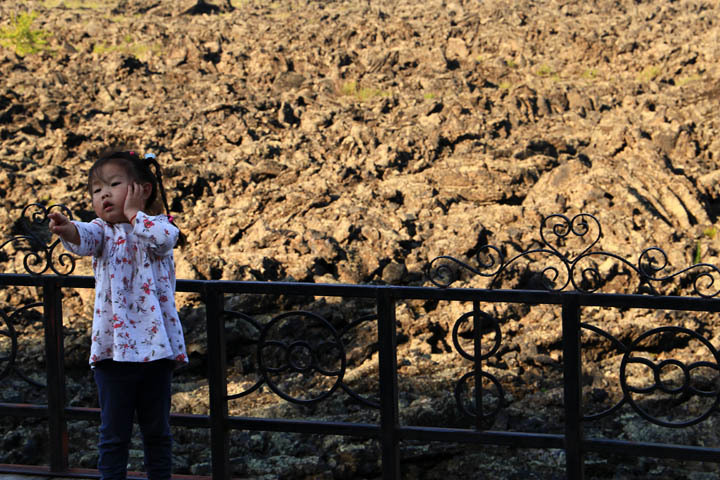 The Yaoquan lake was formed by lava from the eruption of the Laohei Volcano and it is 300 metres in width and 900 meters in length. Mineral water containing CO2 gas gushes out from several openings in the lake bed and the water from the Yaoquan waterfall here never freezes, even in -30C winter temperatures. 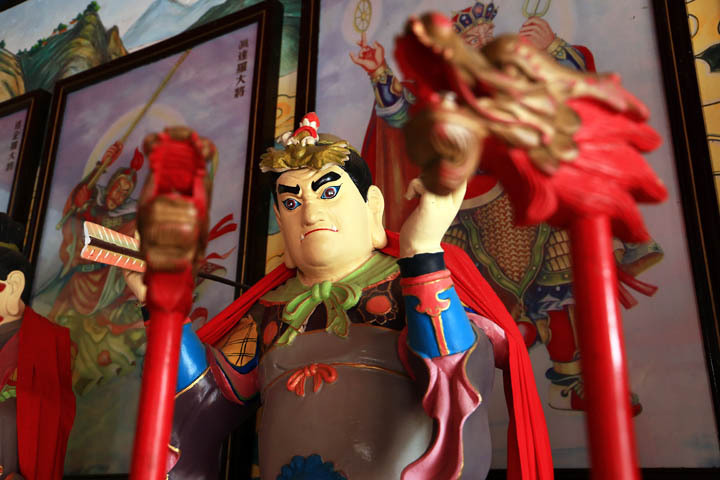 Legend has it that hundreds of years ago, a hunter from Oroqen (è lún chūn 鄂伦春) shot a deer. The deer ran with its wound to the Yaoquan Lake. In the water she licked her wound and soon, to the amazement of the hunter, her bleeding stopped. The hunter then also drank the water and at once he was full of vitality. On the way back from our lake walk, we filled up our water bottles once again from the spring mouth as it would be the last opportunity we would have to drink such god awful water. Close by here is the Yaoquan Zhong Ling Buddhist Temple. 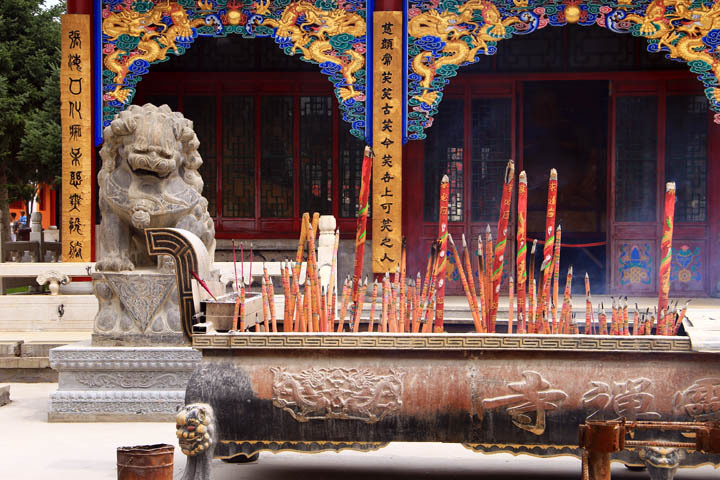 From my perspective, most Chinese temples look the same with their burning incense, pagodas and dragon statues. There are also so many temples in China. But what impressed me about this temple is that it is at the mouth of an extinct volcano! 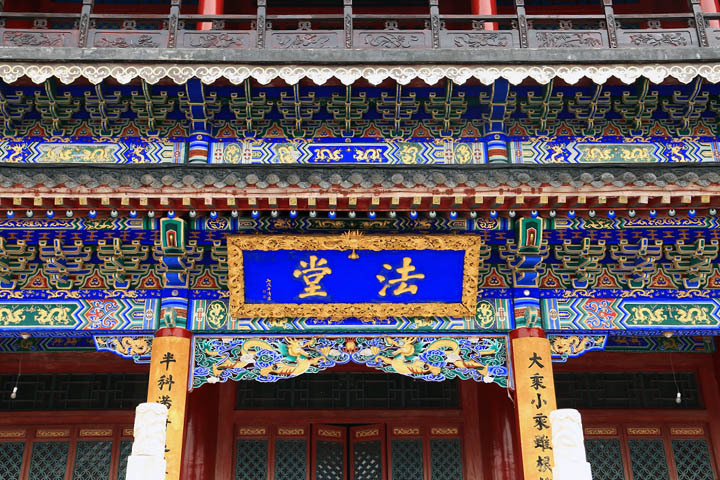 There is also a prevalence of blue, green and gold in the painted design of the temple eaves (as well as red) and the temple was well maintained. 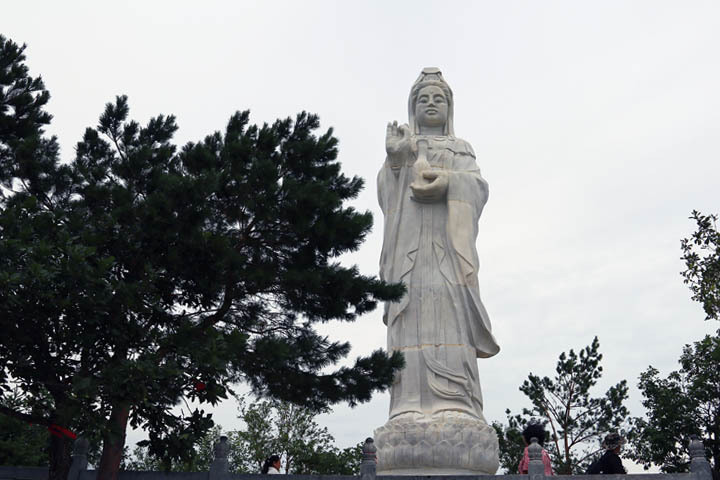 Next to the temple, there is a steep set of stairs leading to a massive statue of Guanyin, the goddess of compassion and in front of which many Chinese people were stooping to offer prayers. There is also a pretty cool view of the Wudalianchi village. By this time our bottles of mineral water were becoming seriously yellow so we visited a different water spring called the Two Stone Dragons. 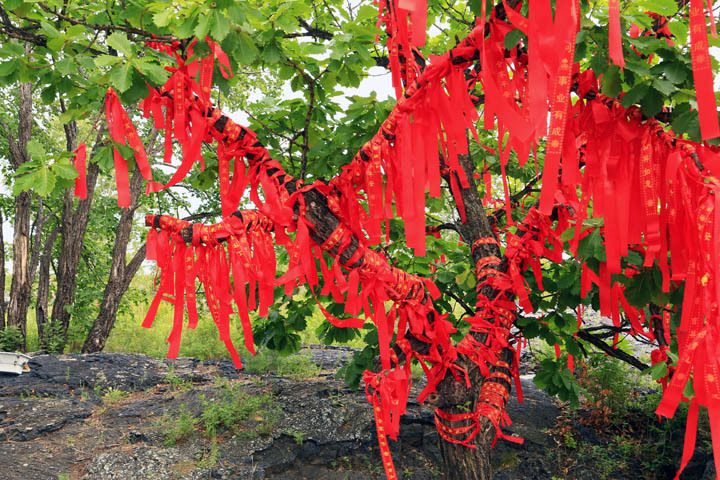 The Two Dragon Spring is famous for containing magical health properties that will cure any diseases that afflict the eyes and hair. 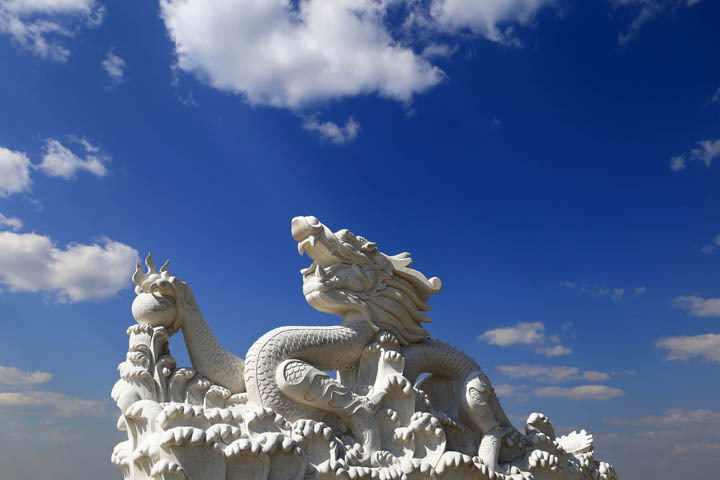 People queue up in large numbers in front of the dragons mouths that spurt this special water to flush their eyes and soak their hair. This water tastes much cleaner than the metallic mineral water at the North Spring, so we were all keen to fill up our bottles and cleanse our mouths with it. Doing a photography tour in rural China and visiting the Wudalianchi Geopark was an amazing experience. I got to see incredible sites, taste nasty water and hear local tales that I otherwise would not have had the opportunity to experience. 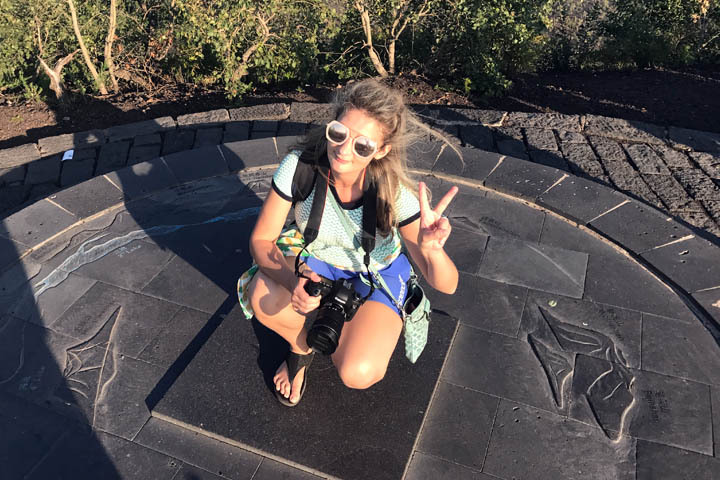 I also got to take many beautiful and professional photographs that will allow me to remember the trip forever. I would love to visit this unique part of China again. Hi! 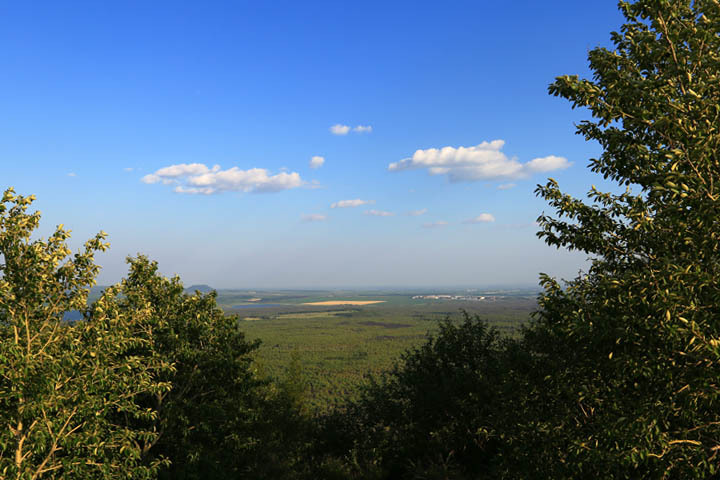 Thanks for blogging about your trip to Wudalianchi. My friends and I are going to Harbin and Wudalianchi in late Oct to Nov this year. May I know how did you travel from Harbin to Wudalianchi and around Wudalianchi? Did you go by tour or did you hire a driver or just flag a cab? Could you let me know some recommendations on the driver/tour company? Thank you! Hi Liza, you will love it although I expect the weather will be fairly cold in October and November. We used a driver for the whole trip, who was with us from Harbin to Wudalianchi and Qi Qi Har. For the Wudalianchi part of the trip, we used an additional local guide who joined us in the car. 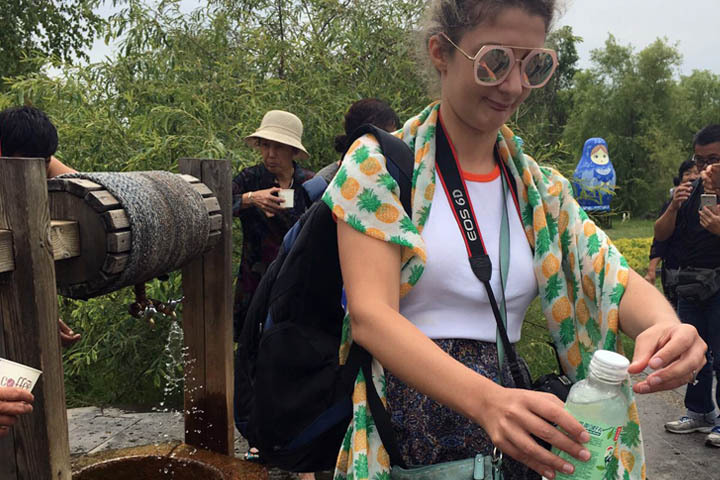 This is critical as without a local guide (a guide from elsewhere in China is not good enough), you will end up paying astronomical entry fees to the various springs, etc. The guide was also able to provide us with helpful information about what we were seeing and crack a few jokes. I was travelling with Chinese friends who organised the driver and they cannot recall the details to make a recommendation. Also nobody spoke any English so my friends had to translate everything for me. Good luck with planning your trip!